Konami's eccentric yet innovative hide and seek title will be the first Wii game to take full advantage of the WiiConnect24 download system. 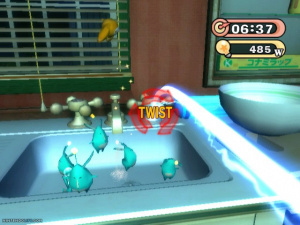 If this kitchen sink scene doesn't turn you on, you will be able to create your own levels and share them online. Japanese gaming magazine Famitsu announced on their website today that WiiConnect24, which allows players to connect their Nintendo Wii consoles to the Internet, will be incorporated into the Konami action adventure title. Elebits will feature a number of level creation tools which will allow gamers to create their own levels and share them in realtime via the Connect24 service. Players will then be able to tackle their friends (or strangers) levels really adding to the replay factor of the game. Not only that but you will also receive new levels from Konami at regular points and there will be functionality to take in-game photos and share these online too. 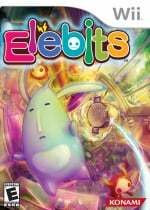 Worries about Elebits being a little short may just have gone out of the window. Oooh! This looks very interesting. I hope it's done properly, and is not just some rushed job. It will be nice to see the possibilities of the Connect24 but you can't help but think that this is a feature XBOX Live had a while ago.